Porsche is challenging its most passionate drivers in 2010 to hone their performance skills on an array of new and established locations that include the renowned Porsche Driving School at the scenic Barber Motorsport Park in Birmingham, Alabama, as well as other special locations around the globe. Internationally, Porsche has plans for special hands-on driver training, as well as exclusive travel and driving experiences at exciting locations worldwide. Interested participants can begin booking immediately through the Porsche Sport Driving School and the Porsche Travel Club. Most appropriately at this time of the year, the first event is Winter Training as part of the Porsche Driving Experience. Two ideal events for beginners are Porsche’s Precision Training Camp in Austria and Camp 4 in Finland. 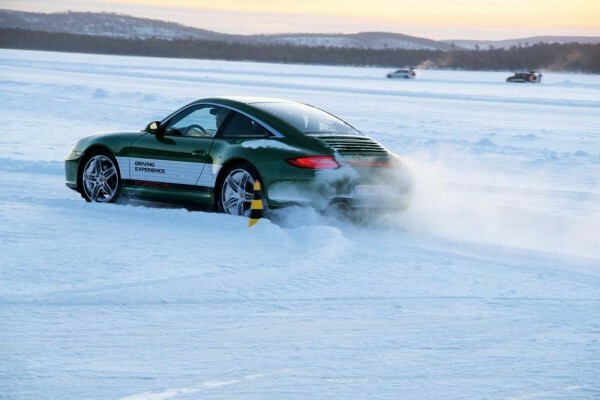 For more experienced winter drivers, on the other hand, Porsche is offering snowbound tracks and ice-lake driving courses prepared exclusively for the German automaker at the Porsche Driving Experience Center in northern Finland, which recently opened in 2009. Here, several Winter Training Sessions are being offered on this frozen tundra from January until the end of April. The ultimate driving experience here is reserved for the Master Training Experience, with Porsches running on ice with spiked tires that promise the ultimate in severe winter driving fun. As always, the Porsche Sport Driving School operates year round and offers numerous courses for beginners, intermediates and advanced drivers, including special programs tailored to specific groups of drivers. Porsche Classic Training with historical sports cars, for example, is now being held for the second time. Super Sport Training, in turn, thrills drivers with the very high-performance Porsche sports cars such as the Carrera GT, the 911 GT2, or the GT3. The Women Only program, as the name indicates, is targeted specifically at women with a penchant for driving in truly sporting style. The Porsche Sport Driving School forms the heart of Porsche’s performance driving events for most of its customers and has been a part of Porsche’s special events for many years. North American customers can visit Barber Motorsport Park. Guest drivers of all skill levels receive personal instruction in Porsche’s renowned sports cars from 28 top professional drivers, many of whom are highly accomplished drivers in their sport. For example, the team is led by endurance racer Hurley Haywood, who among other accomplishments, has won five times at the 24 Hours of Daytona, three times at the 24 Hours of Le Mans, and twice the 12 Hours of Sebring. Various programs include beginning, intermediate and advanced race instruction. Programs can be booked for one, two or three days. All in all, some 250 instructors working for Porsche the world over guarantee optimum support and know-how for participants – on national and international race tracks, off-road and on ice. Participants even have the opportunity to acquire a motorsport license in order to join in customer races such as the Porsche Sports Cup. The wide range of activities offered by the Porsche Travel Club subdivided in 2010 into four specific themes is both attractive and highly individual: Porsche Behind the Scenes, Porsche Weekends, Porsche Adventure Tours, and Porsche Camps. Apart from day and weekend excursions to popular destinations in Germany, Porsche Travel Club also offers exclusive tours to beautiful places both nearer by and far away. Driving a Porsche sports car, a Cayenne or the Panamera, for example, guests have the opportunity to discover Provence, the Côte d’Azur, the Alps or the Pyrenees. The various courses and sessions offered by the Porsche Driving Experience may also be booked by companies wishing to give their employees a very special gift. For further information on both North American and international programs, please visit Porschedriving.com or call 888-204-7474.